Sophie’s extreme cleaning service offers a quick, personal, professional and totally confidential specialised biohazard hygienic cleaning service to families who following a death or trauma find themselves faced with the difficult task of restoring the environment to its original state. Note! All carpet staining will be individually treated but depending on circumstances and cause Sophie’s Cleaning Company cannot guarantee that all the staining will be removed especially in the case of Blood stains. A trauma clean? is a term often used to describe the clean-up operation that may be required following a violent crime incident in which blood and bodily fluids have been released. This operation may also be referred to as biohazard remediation, crime scene clean-up, or CTS Decon (Crime and Trauma Scene Decontamination), and would be commonly be carried out by employees of a private company specialising in the field, although it is now being offered as a service by some larger cleaning companies. Trauma cleanings main association with crime scenes is slightly misleading, however, as a team may be deployed in a range of other situations. A trauma clean may be needed following other incidents involving the release of bodily fluid, such as a suicide, an industrial accident or the finding of a corpse. 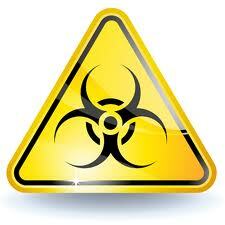 Locations containing animal matter and waste may be treated, as well as a site contaminated with infectious disease. A trauma cleaning teams work starts when the investigation at a site is complete and is released by the coroner or other government body. Methods of clean-up vary from company to company, but a military approach to thoroughness is employed in the key tasks of cleaning and disinfecting. A major aspect of the job is the removal of contaminated items. These may include furniture, carpets, wallpaper, and even walls and flooring. The worker risks infection by diseases such as hepatitis and AIDS, and so must operate with extreme care at all times. A clean-up generally takes from 4-8 hours, but can on rare occasions take two days. Working as part of a trauma cleaning team requires some specific attributes. Besides a strong stomach, a cleaner must be able to detach themselves from their work and act with compassion and sensitivity. Training is provided for dealing with survivors and family members.